An accident that should end in tragedy instead gives seventeen-year-old Jamie Baker a slew of uncontrollable superhuman abilities. To keep her secret safe Jamie socially exiles herself, earning the title of Rocklin High’s resident ice queen. But during a supercharged encounter with star quarterback Ryan Miller she literally kisses anonymity goodbye. Now the annoyingly irresistible Ryan will stop at nothing to melt the heart of the ice queen and find out what makes her so special. Unfortunately, Ryan is not the only person on to her secret. Will Jamie learn to contain her unstable powers before being discovered by the media or turned into a government lab rat? More importantly, can she throw Ryan Miller off her trail before falling in love with him? One of the TV shows that I loved back in high school was The Secret World of Alex Mack. I remember watching it religiously, loving Larisa Oleynik as Alex Mack and wondering how it feels to be the GC-161 kid. I even bought some of the books and skipped going out for the summer just to catch the episodes. That show was what I remembered as I was reading Kelly Oram’s Being Jamie Baker. 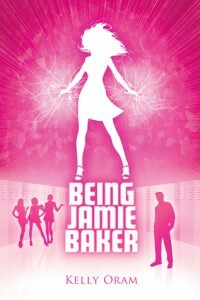 Jamie Baker is seventeen, usually hormonal and absolutely antisocial — but that’s for a good reason. You see, Jamie got involved in a freak accident in her hometown that should have killed her, except that it didn’t. Instead, it gave her superhuman abilities that could kill people if she goes out of control. When she moves to Rocklin High, she becomes the resident ice queen, choosing not to care about boys or make-up, more afraid of causing harm than being socially ostracized. 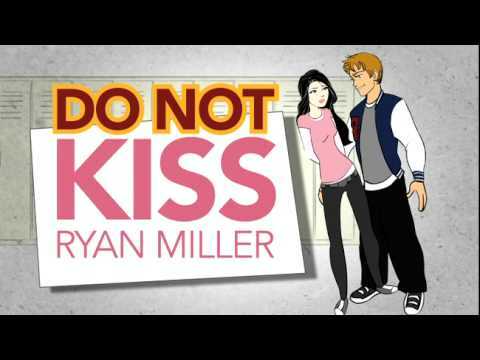 But a bet between two popular guys and a supercharged kiss later, Jamie finds her ice queen reputation on the rocks as Ryan Miller follows her around, wanting to get to know her and find out what makes her tick. As if avoiding keeping her abilities a secret isn’t hard enough, Jamie has to deal with wanting to be with Ryan and knowing that she is a danger to him. I think my main problem with the book is how it becomes repetitive after some time. Yes, Jamie is an ice queen, but Ryan is relentless. Jamie likes Ryan, so she decides to go closer, but oh, Ryan does something that makes her doubt everything she thought. It goes on an on with no visible or tangible conflict, and even the presence of someone from Jamie’s past didn’t really give much threat to it. When the final showdown happens, I didn’t feel excited about it — it was more of relief: “Oh, finally, something happens!” I totally didn’t see that twist coming, and that’s good, but I felt like I’ve slogged through the story for too long before anything of real excitement happens. For a superhero-like novel, it doesn’t have a strong villain presence, that’s why I think the book really works more as a contemporary novel than one of contemporary with fantasy. My copy: signed, won from the author. Thank you! I have to admit, this is one of the most fun book trailers I’ve ever watched. I think this is one of the reasons why this book reminded me of Kim Possible. So glad you finally got to read it! This was the first instance where a book trailer held my attention so captive that I wanted to immediately purchased the book. This NEVER happens! I had a lot of the same issues as you did with the book (the repetitiveness) but I’m still looking forward to what Oram comes up with next.